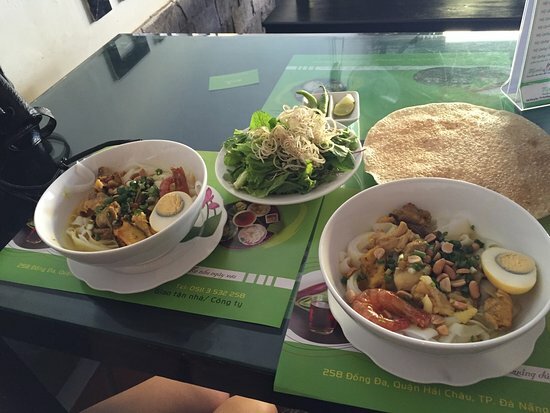 The best Mi Quang in Da Nang! 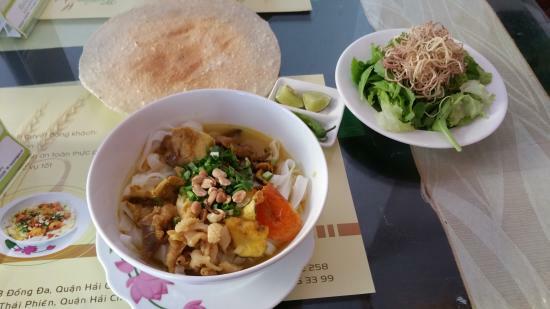 Best ever authentic Mi Quang! 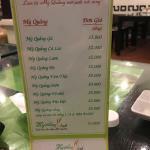 Very clean restaurant and super cheap! Different variations from chicken, prawns and pork to eel and frog combinations. Couldn't ask for a better bowl of deliciousness! Thank you Mi quang que! Try the beef My Quang! Danang's specialty and this place is the specialist.... They also have great beer... Huda Gold is an exceptional match to the food. Must try for all my My Quangers out there! My Quang in this food store is good and different from other places. 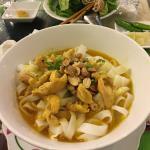 I enjoyed my dinner very much with a bowl of My Quang and chicken. Some other materials accompanied were great as well. Our local contact took us here our first day, and now I've here more than I'd like to admit. I'm a creature of habit and always get the chicken version, but my friends swear by the eel and all the other kinds as well. We loved lunch here. Simple and delicious. The noodles were great with a crispy cracker on top and a La Rue. Highly recommend! Get quick answers from Mi Quang Que staff and past visitors.